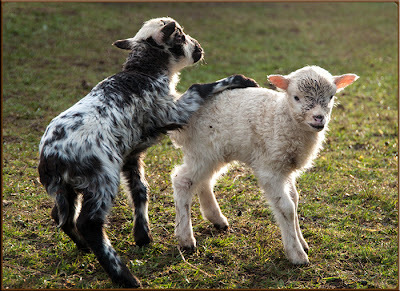 The Sheep Whisperer: "The Passover Lamb"! 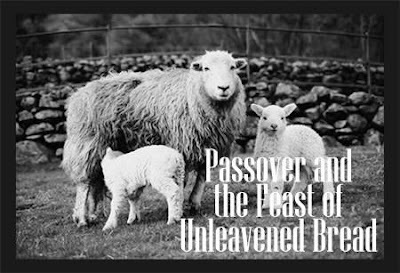 As we approach Easter Sunday/Resurrection Day, I thought it would be appropriate to investigate the significance of the feast of the Passover & the "Passover Lamb". 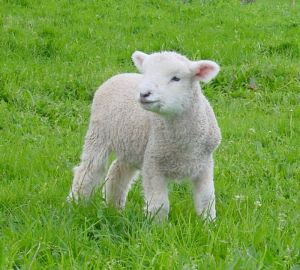 I hope Ewe enjoy refreshing Ewer memory during this momentous season of the year. Ewe know I'm not supposed to have any blemish, but could Ewe look again? 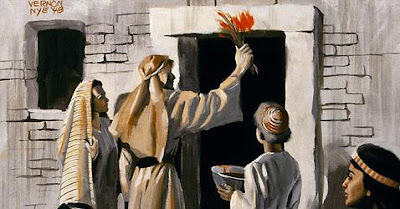 Passover is a great reminder of God's "Delivering Power"! plagues. He was challenging Pharaoh to "Let my people go". 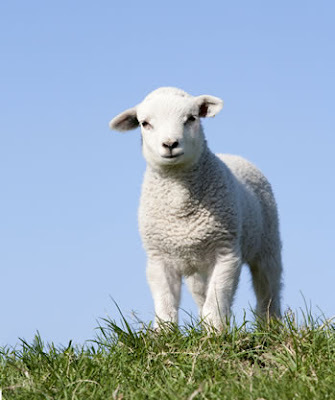 The instructions Moses gave to the children of Israel was to sacrifice a one year old lamb , without blemish , & to paint its blood on the doorposts of their houses. We must follow Moses' instructions exactly! I'm one of the few "not" celebrating Passover! 5 Your lamb shall be without blemish, a male of the first year. You may take it from the sheep or from the goats. 6 No you shall keep it until the fourteenth day of the same month. Then the whole assembly of the congregation of Israel shall kill it at twilight. 7 And they shall take some of the blood and put it on the two doorposts and on the lintel of the houses where they eat it. 8 Then they shall eat the flesh on that night; roasted in fire, with unleavened bread and with bitter herbs they shall eat it. 9 Do not eat it raw, nor boiled at all with water, but roasted in fire—its head with its legs and its entrails. 10 You shall let none of it remain until morning, and what remains of it until morning you shall burn with fire. 11 And thus you shall eat it: with a belt on your waist, your sandals on your feet, and your staff in your hand. So you shall eat it in haste. 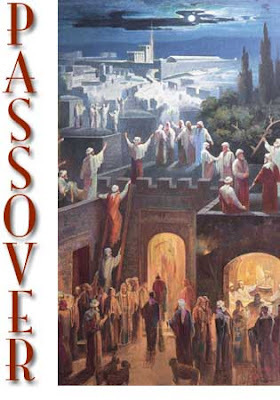 It is the LORD’s Passover. We are thankful to God for what He is about to do! Follow Moses! Were Going to the Promised land! Free at Last! Free at Last! Thank God we're Free at Last! 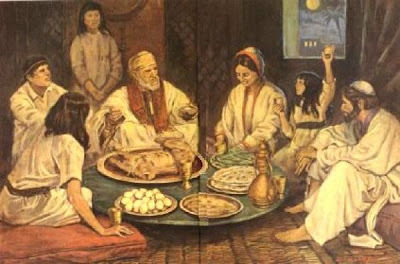 The Passover is celebrated with a special dinner called a Seder, which is Hebrew for "order". The foods eaten at the Seder are all symbolic, commemorating the "Exodus" of the Israelites from Egyptian slavery. I'll explain each item of the dinner in greater detail in the next Blog. 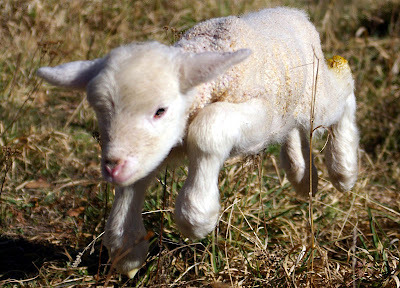 Sheep have a Shepherd who goes between them & the predators that are looking to kill them. Just as Moses intervened on behalf of the people of Israel, so the Shepherd also intervenes on behalf of the sheep, & leads them to safety & green pastures. 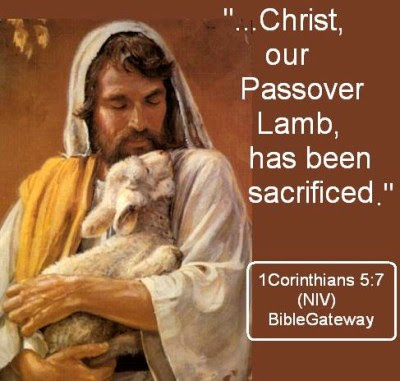 For the Christian, Christ is the Passover Lamb!